En el principio de mayo podemos unirnos por el trompetista famoso Teto de la Torre, de Guadalajara. Las reservas están disponibles para el 2, 3 y 5 de mayo. Mariachi music for all your fiestas and educational programs! 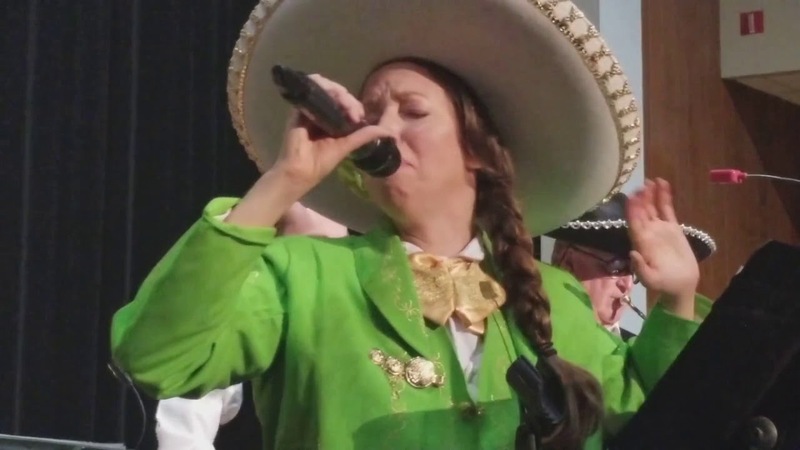 Mariachi Flor de Missouri will unfold the beauty and power of Mexican traditions before you like a blossoming flower. La música de mariachi para todas sus fiestas y programas educativos! Mariachi Flor de Missouri desplegará la belleza y el poder de las tradiciones mexicanas como una flor en flor. This band rocked. They were all very friendly, arrived on time, performed well, and were more reasonably priced than other bands we looked into. I would definitely recommend. Muchas gracias, Taylor! 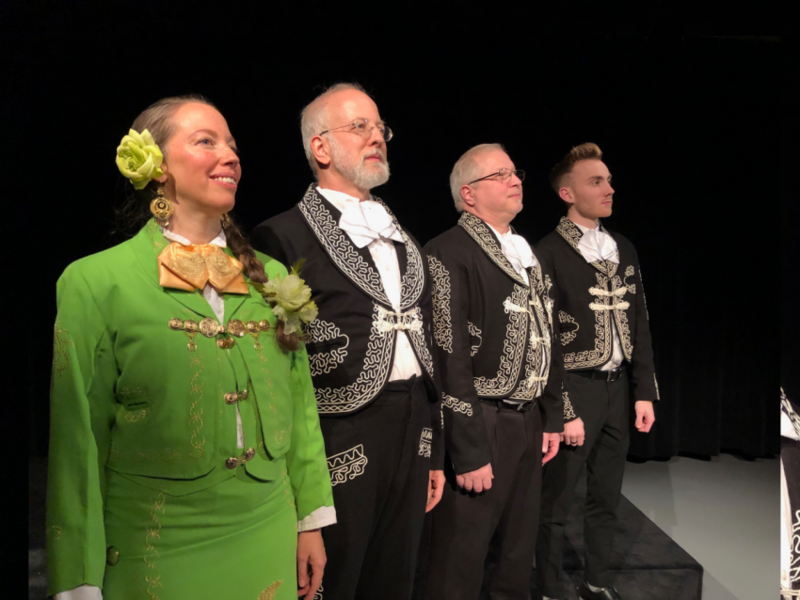 We had a lovely time, and really appreciated the warm response from everyone- from the wide-eyed little children to the elegant dancing of the older couples to Solamente una vez- one of our favorite boleros. We wish for you and Emily a lifetime of joy and love and wisdom together. Mariachi Flor de Missouri and Ozarks Klezmer performed at the LHS Globally Strong Culture Fair. They are wonderful and I can't wait to book them again at our next event! Bravo!! Thank you, Elizabeth! We have a variety of music available from many world cultures, and beyond our regular gigs, we love to share them as edutainment in schools, libraries, and more. The Mariachi Band was a hit and helped our Mission Convention to be a big success. Would have them again if the opportunity presented itself. Muchas gracias, Barbara! You were very gracious and supportive hosts. We had a wonderful time sharing our passion for mariachi with you, and supporting your great mission in our small way.